This is going to be one of my favorite posts. The whole purpose of DigiDame was to give people over 50 new ideas on how to reinvent themselves. Just because we are finished with one career, doesn’t mean we can’t find real purpose in another. I first learned about Sarah and The Purlettes on a recent episode of Shark Tank. Sarah was asking for a $50,000 investment from one of Sharks because her business has been growing faster than she ever anticipated. She needs to buy yarn and other supplies in greater quantity so she can keep up with orders. She also has to keep The Purlettes busy. Sarah came up with the idea of employing seniors because, as a young girl she used to knit with her mother and grandmother. She asked seniors at The Redwoods Senior Retirement Community, in Northern California, if they would be interested in working with her. The response was an overwhelmingly “yes” and thrilling. If you want to get chills and teary-eyed, watch the video to hear the seniors comment about their new found profession. 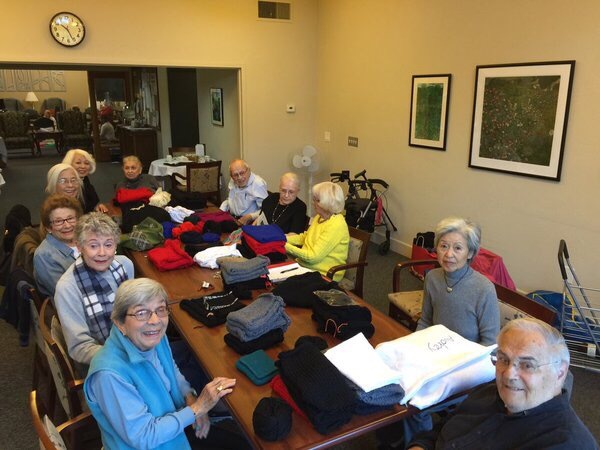 The Purlettes hand knit every one of the bags, even 98 year-old Kay. The seniors average three handbags a week. Some say they have never been happier in their lives. Both Marc Cuban and Lori Greiner of Shark Tank ponied up the money and now Sarah has the benefit of consulting with two major business people. Keep knitting away please. So many benefits to doing this! 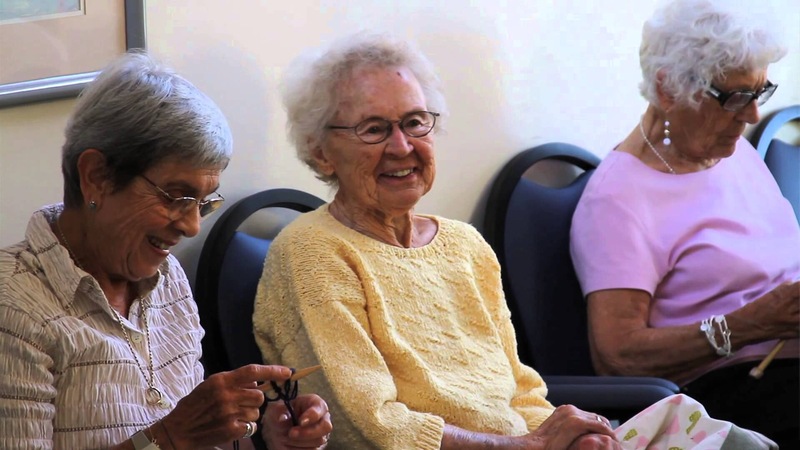 The laughter, fun and pure joy they experience not only from doing something so useful and meaningful, but from also being with others, and socializing. This is a great idea! We saw the show as well. So great! Think of you every Friday night as we watch. WE WATCHED THE SHOW AND ENJOYED IT. THINK OF YOU EVERY FRIDAY KNOWING YOU ARE WATCHING AS WELL! My husband and I follow Shark Tank and we agree with you – this is one of the best ideas ever presented. The thought that the nursing home participants now have a purpose and feel they are contributing gives real meaning to life. I would bet a large number of the ladies & gentlemen have only the $45 cash Social Security allows them to keep each month after the remainder of their check goes to the nursing home for their care. Of course, if they had savings – that’s going to the nursing home as well along with any other monthly retirement income. I worked as the CFO of a nursing home conglomerate for a brief time after I retired [and I couldn’t stand to see how our seniors were being deprived of the monies they had worked so hard to earn]. The price of the room and care was based individually on how much disposable income the individual had. During the time I worked [no one had more than $30 a month] of their own money to spend. 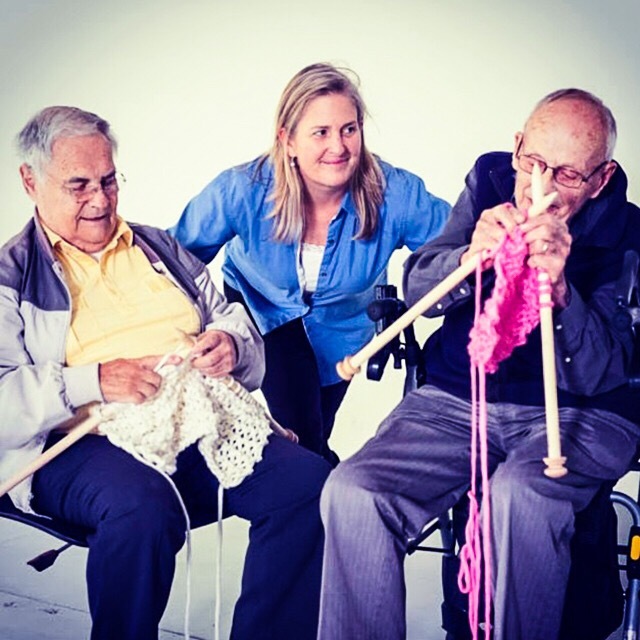 This knitting project has to provide a sense of purpose of these deserving individuals. A senior sweat shop is heart warming? They only get paid $17.00 per purse and they spend all week knitting til their hands bleed. The lady sells them for $200.00… How do the family members think this is OK? Maybe of the proceeds went to charity or the money is invested into these retirement communities. I would NEVER allow my 91,year old grandma to do this. They get joy out of doing it yes….but they are being used.